Check out the weigh-in Photos of Sultan vs Ancajas International Boxing Federation (IBF) junior bantamweight world title fight. Ayon sa trainer ni Jonas Sultan na si Edito Villamor, ang no. 1 contender ay walang respeto sa mga champion. "Walang respeto si Sultan sa mga world champions, 'yun ang attitude niya,"
"Nung laban kay Casimero, walang naniwala. Kami rin e. 'Yung game plan namin paatrasin si Casimero kasi he's more as a pressure fighter. Kaya first round pa lang 'yun na turning point na manalo si Jonas, ni-wrestling niya si Casimero,"
"Magaling naman si Ancajas, kaya lang hindi naman siya pressure fighter. Isa lang ang suntok, dalawa, isa. Kaya sana ma-deliver 'yung game plan namin ni Jonas kagaya ng ginawa niya kila Casimero at Jaro,"
"Kay Nick yung scientific conditioning, kami (trainers) naman bahala sa game plan," ani Villamor. "Perfect naman sabi ni Nick, solid 100% ready na talaga si Jonas." "Yung game plan na lang kailangang ma-execute. Ginawa na lahat walang excuses." Jonas Sultan and the IBF Superflyweight champion Jerwin Ancajas will hold "Meet and Greet" on May 19, 2018 (LA Time) at at the Filipino American Community Cultural Center at 1740 Temple Street at the Historic Filipino Town just west of Downtown Los Angeles. Will start at 10:00 AM. 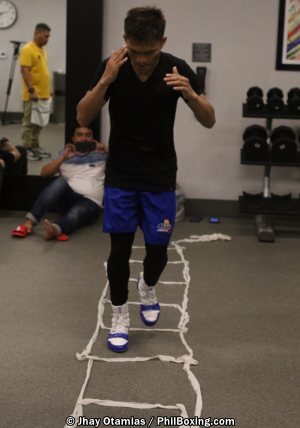 Check out some photos from philboxing.com showing that Jerwin Ancajas is now preparing and works out in L.A for his upcoming fight against the fellow Filipino Jonas Sultan. 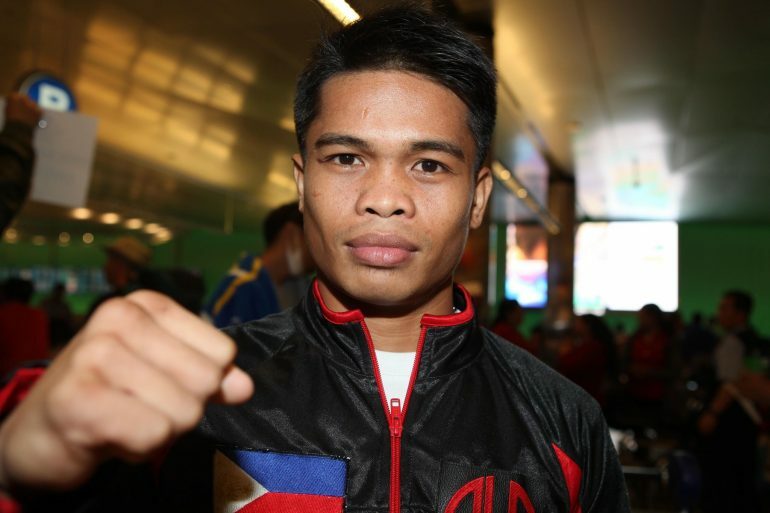 Current IBF world superflyweight champion Jerwin Ancajas will defend his title against the fellow Filipino Jonas Sultan on May 26th in Las Vegas. 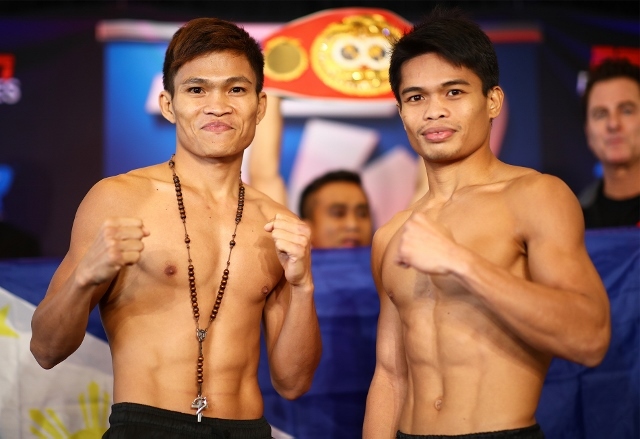 Ancajas vs. Sultan is a history for Philippine boxing because after almost 75 years, Filipino will defend his title against another Filipino. Ancajas with a record of 29 wins with 20 big victories by way of KO is a Top Rank fighter and scheduled for the 5th defense of his title. Ancajas got his belt when he defeated McJoe Arroyo of Puerto Rico in 2016 and defended it 4 times all by way of KO's. Meanwhile, the hungry ALA promotion fighter Jonas Sultan currently no. 6th best super fly in the world promises to give his best in the fight. Sultan has a record of 14 wins with 9 victories by way of KO with only 3 defeats. Sultan defeated the former world champion Sonny Boy Jaro, and John Riel Casimero to get this title fight.